Simply activate the module by using the vehicle's high beam stalk; no additional wiring or controllers required. The pattern is changed with the steering wheel controls and the flash pattern number is displayed on the dash board! Even better, it will not damage the vehicle and can be removed at any time! The free software download allows you to enable or disable flash patterns and select lighting. Plus, the included custom flash pattern maker allows you to build your own flash pattern and create a truly unique experience! Simply plug the module into your vehicle's OBD port. The red light will flash for about 5 seconds while it boots. It will blink green when it is ready. Pull the high beam stalk back for 5 seconds to activate it. You'll know it's turned on when the high beam indicator is active. If your vehicle is equipped with a dashboard screen it will display the Z-Flash pattern that you are currently using. To turn it off pull the high beam stalk for two seconds. Jump in Activation: When starting your vehicle pull the high stalk to instantly turn on the lights. Key Fob Activation: Use the key fob to activate your lights by pressing the unlock, unlock, lock then unlock again. Wait about 1 second between each press. Pattern Changing: Use the steering wheel controls to change between each pattern. Patterns can be enabled or disabled in the software. All 2018+ model year Dodge/Jeep/Chrysler vehicles will require an additional gateway module. Simply unplug the security module from your vehicle and plug in the Z-Flash gateway module. The module is under the dash by the vehicle's pedals. Instructions are included and most people can complete the installation in 15-30 minutes. The Z-Flash gateway module should be removed when getting the vehicle service or trying to scan the vehicle with the OBD-II port because it will cause an OBD-II scanner to malfunction. The Z-Flash T-Harness will only work with 2018 1500-5500 Rams and 2019 2500-5500 Rams. This harness prevents you from having to remove the radio to access the security gateway and install a Gateway Bypass Module. Once your T-Harness is installed you will not need a Z-Flash Gateway Bypass Module. The T-Harness does not need to be removed when getting the vehicle serviced. 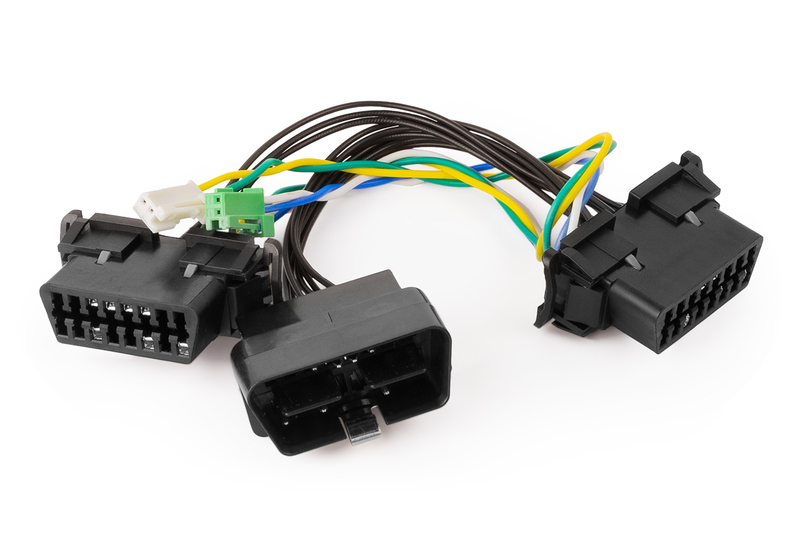 The T-Harness also acts as a splitter and leaves room for an additional OBD-II device to be connected to the vehicle. How does it work? : Using diagnostic signals the module tells the vehicle to activate the respective lights. The module does not rewrite computer code or effect the vehicle. The codes are the same that the dealer could use to diagnose your vehicle. Will this burn my computer? : The module does not put out any voltage and will not burn up the computer. It's much like plugging a USB stick into your PC. Will my brake lights still work? : Your brake and turn signals will override the flashing pattern. If the module is active and you hit the brakes or use your turn signal, that function will override. This cannot be disabled as it is an important safety feature. Does this put my vehicle in reverse? : The module will not change your vehicles gears. However, some vehicle's may activate the backup camera screen because they are wired in with the reverse lights. Unfortunately this cannot be disabled at this time. Will this burn up my bulbs? : Like any headlight/taillight flasher it will burn out your bulbs faster than normal. Aftermarket HIDs will burn up very quickly because the ballasts are not intended to flash. My bulb is not flashing or very dim: Unlike LEDs, Halogen bulbs require a charge up and cool down time. Because of this is is not possible to flash them as fast as LED bulbs. Try using a custom pattern to slow the flash rate down. Is the module traceable? : Once removed, the module does not leave any trace of being installed. For 2018 model years be sure to remove the gateway module and reconnect the vehicle's security module before attempting to connect an OBD-II scanner or before having the vehicle serviced. Leaving the gateway module installed will prevent an OBD-II scanner from operating properly. The OBD-II extension cable has a male on one end and a female on the other. 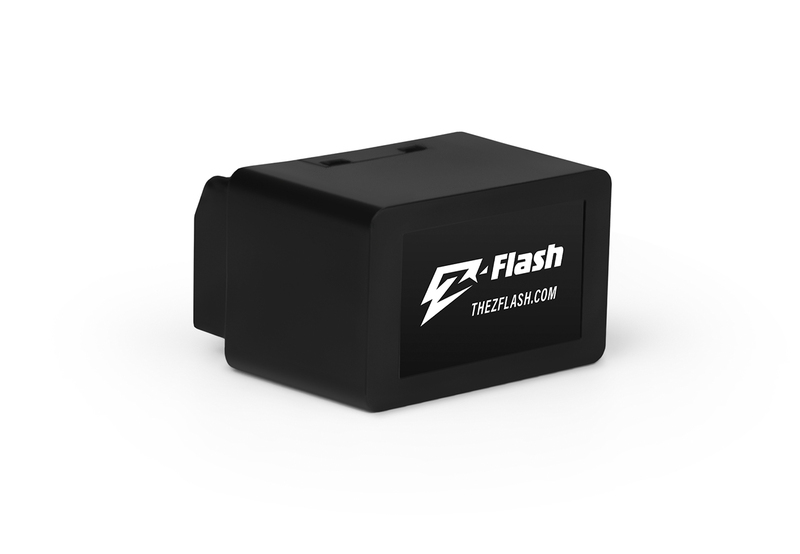 It will extend your OBD-II port 2 feet allow you to tuck the Z-Flash away in a dash. This is also useful if you find your Z-Flash is in your way. The OBD-II splitter cable will allow you to split your OBD-II port in 2. This is useful if you already have an existing OBD-II product plugged in such as vehicle tracking or an insurance tracker. Lights work great. Easy to install. I highly recommend this or any of there products. I have been telling everyone about it. A co worker just ordered one for his truck. Great job!!! The hardest part was unplugging the connecions for the 19 Ram. Love it. Customer service was great. I love that you can activate with the key fob. Some of the patterns, not a fan of. I have to still make a custom flash pattern. Over all more than I expected. I have a 2019 Ram 1500 Classic for a work truck and installed the device and it looks amazing. I sent video in with how good it looks. I never expected to look as good as it does. I am buying it for all the fleet trucks. Checkout the Z-Flash in a 2014 Ram! Build 3 of your own flash patterns with the FREE software or use one of the 5 built-in patterns! Learn more: https://www.ultrabrightlightz.com/z-flash-plugin-flasher-for-chrysler/ Visit us at UltraBrightLightz.com, or call 1-888-562-5125.